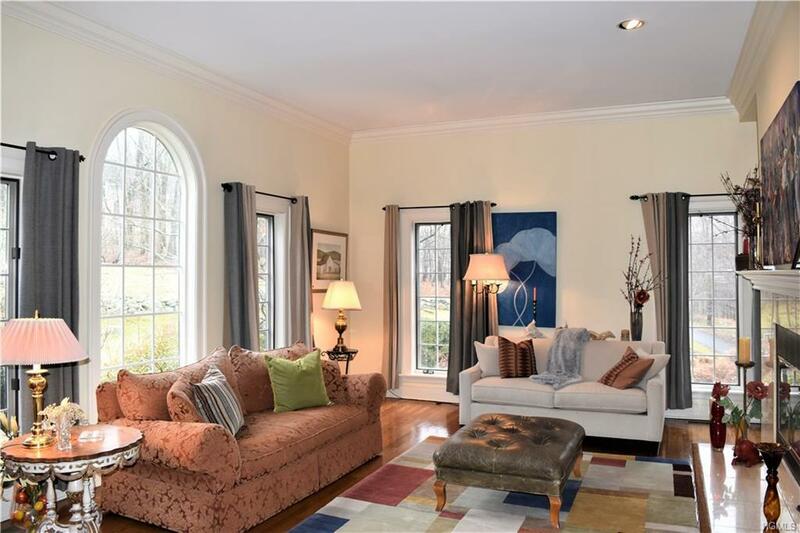 Warm and welcoming 5 bedroom Colonial that easily lives as a 6, offering a host of amenities including hardwood floors throughout, high ceilings, an open floor plan, large windows that allow for both natural light and private views. 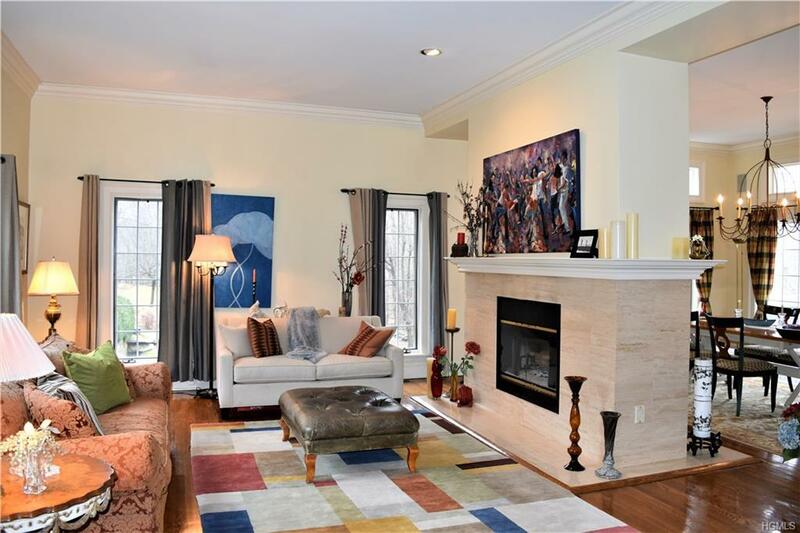 Formal living and dining rooms are open to one another and share a warming, two sided fireplace. Kitchen boasts granite counters, cheery white wood cabinets, stainless appliances, cozy breakfast nook and is open to the family room. 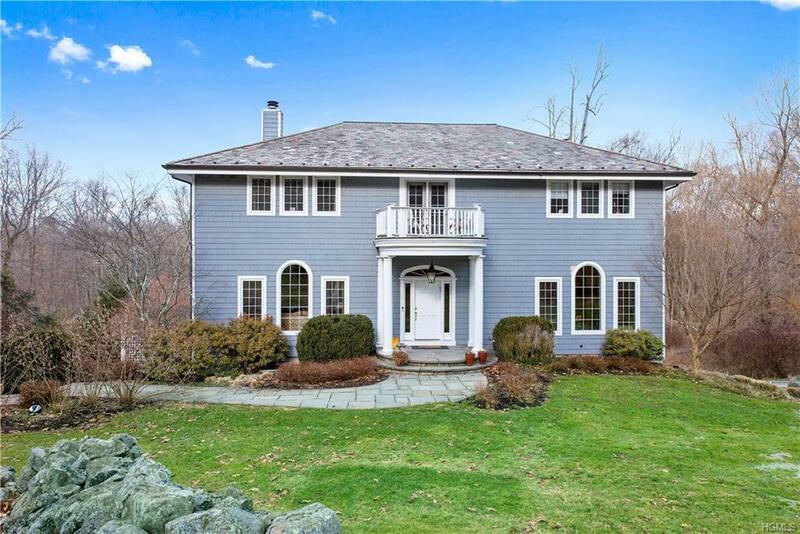 Upstairs, the master suite has a high boxed cathedral ceiling, door out to a balcony, two walk in closets and a bath that is truly a retreat at the end of the day with radiant floors that add to the overall spa like feel. Four additional bedrooms are all unique in character. 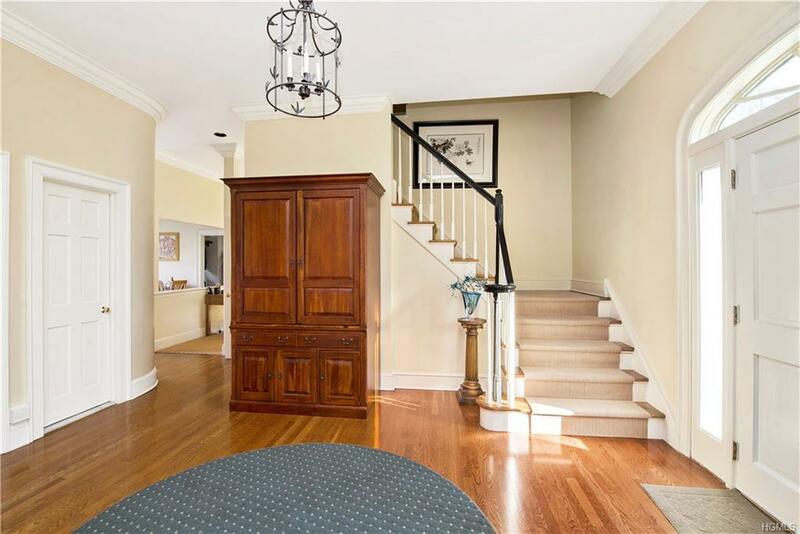 The lower walk out level is home to an exercise room, office with full bath. The back of the home finds a partially covered deck, perfect for enjoying a barbeque or simply whiling away the hours with a book and viewing acres of private property.